We know that technology is only helpful to an organization if it is easy to use. 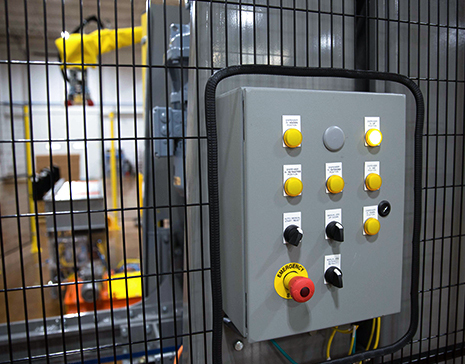 That is why we employ in-house engineers that work hand-in-hand with our robotics engineers and material handling system integrators to design intuitive, interactive HMI touchscreens to control every aspect of the systems we design. We provide complete controls solutions within the robotic cell design along with the integration between upstream and/or downstream equipment for a seamless installation and start-up.